How to improve Help Desk Support Services? Whatever you do in your business, keep your customers happy. This is today’s mantra as we undertake the conundrum of rendering profound technical assistance to customers. Offering non-technical support to customers is entirely different from providing a sound-technical solution. Whenever a customer requires a precise resolution to a technical query, all bets are placed on how quickly you solve the problem and how effective is the solution. Help desk, in layman terms, can be regarded as the specialized division of customer support where specific expertise and skill sets are required to meet the objectives. As we are on this topic, let me clear something for business owners like you; tech support and help desk are two very different segments to handle. While a help desk team is mostly the first line of defense, a tech support staff handles much-sophisticated customer issues that require extensive prowess. Help desk services have the ability to put the brand image of your company on top. So, whether you are choosing help desk outsourcing or managing an internal team, it is essential to know what hindrances put a break on your operations. The progression of help desk services mainly revolves around the ticket that arrives via email, phone or other daises. As soon as the ticket comes in, it is received by a help desk agent who will either resolve the issue or will delegate it to someone at an upper level in knowledge bracket. More complex issues are escalated to the tech support experts who have the required competency and expertise. 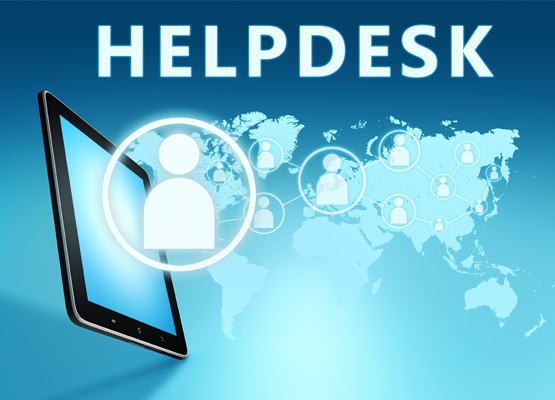 What are Help Desk Best Practices? The role of a help desk for a technical organization is as important as its product team. Suppose you created a superb technical product that has vast scope but you didn’t streamline your help desk operations, what do you think will happen? Since the product is catchy and user-driven, it will sell. Nevertheless, whenever there will be a technical query or issue and customers reach your help desk team, they will be disappointed, agitated, and somewhat angry. This will impact your business negatively with a heavy hit brand image. Therefore, it becomes unavoidable for a business owner to deploy seamless help desk support to customers. For this, business owners either approach a help desk outsourcing company or manage the division internally. Whatever may be the case, good help desk practices will make sure that customers will return to your brand for future purchase too. Help desk best practices not just create an enchanting brand image but also ensure a high customer retention rate. 1. How serious is the issue? Every problem is different and henceforth, the solution for each issue should be in accordance with the gravity of technical glitch. For an issue where a customer is looking to reset a lost password or return a lousy product, a simple solution is needed. On the other hand, if a customer is in the need to troubleshoot an unexpected device, agents with deeper domain expertise are required. The question ‘How to improve help desk support?’ has a simple answer; be effective and quick. Promptness is one of the game-changing factors that really defines the competency standard of a help desk team. This said, when you are able to sort issues based on their complexities, you will swiftly delegate the customers either to the subtle solutions or to the concern professionals saving a lot of time. 2. Is your audience tech-savvy? You and your help desk workforce are an ace-level master in technical expertise but your customers might not comprehend with sophisticated methodologies. 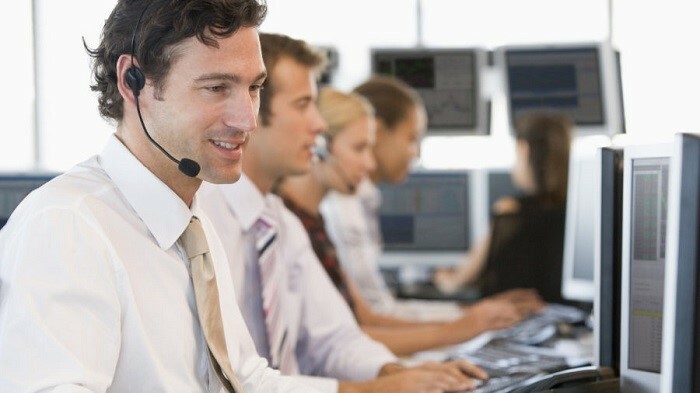 A diligent help desk agent makes sure to listen carefully to the customer to understand the latter’ technical prowess. Customers who are not at all technically sound would find even the simplest issue quite stringent. Contrarily, customers who have a grip on the technical domain would interact quite pleasantly with the help desk agents. When you get in line with your customers’ technical knowledge, it becomes easy for you to solve the issue accordingly within a limited time-frame. This happens a lot. Customers often reach out to help desk team with a same or precisely similar issue more than once. If you are seeking best practices for help desk support, you should keep a strict check on the issues that are coming again & again. When such things happen, help desk agents should find if any similar issues have been solved in the past. If yes, it will incredibly help you to reduce the time taken to resolve the issue thereon. Whether it is about the solution directly or about routing the customers to the concerned department, tracking the support tickets helps a lot. One of the best help desk improvement ideas is to make notes on each customer interaction so as to keep them as references for future tickets. When customer conversations are noted and organized on a regular basis, it becomes quite easy for the support agents to handle the technical issues. This reduces the time taken to deliver a precise solution to the customers thus raising the credibility of your brand image. To deliver prompt help desk support, it becomes quintessential to direct customers through a myriad of self-service options for simpler issues. There are a lot of customers who prefer finding a solution to trivial technical issues on their own than rather talking or conversing with a help desk agent. Providing a self-service alternative will save the time and efforts of your help desk team to a great extent, hence increasing the overall efficiency. For this, you can provide FAQs or Q&A for simpler issues that will also act as a knowledge base for your customers. Videos, tutorials, blogs, Podcasts, etc are some of the ways using which you can provide a self-service alternative to your customers. A lot of time customers aren’t able to comprehend the solutions offered by the help desk team because of over complexities or over-briefed resolutions. This not just increases the time to solve the query but also degrades your support team standard. When it comes to answering the question, ‘how to improve help desk process?’ precision and clarity share the rank with top aspects like promptness and effectiveness. If a help desk agent is able to provide clear and relevant solutions in a précised manner, the performance of your team climbs up the ladder. This ultimately results in a happier customer base. A lot of time, customers after getting the required solution find that they haven’t still got the needed help. This lowers down the authenticity of your help desk support team to the gutter. 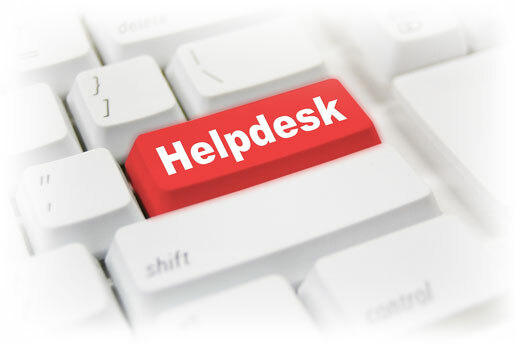 To ensure that good help desk practices are deployed, help desk agents should provide an option to the customers just after the ticket is closed so as to know whether the issue has been resolved or there are still some glitches. This increases the trust of customers on your help desk team and your brand. In a nutshell, best practice help desk support includes some minor but essential tips that we have mentioned above. If you have any query or confusion, reach us in the comment section. Thanks! Why you should Outsource Help Desk and Phone Answering Services? 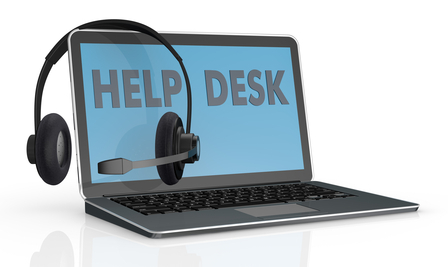 How can Startups benefit from Help Desk Services? How Can Help Desk Services help your Business?